Before you get started, you’ll need to get familiar with Collections. 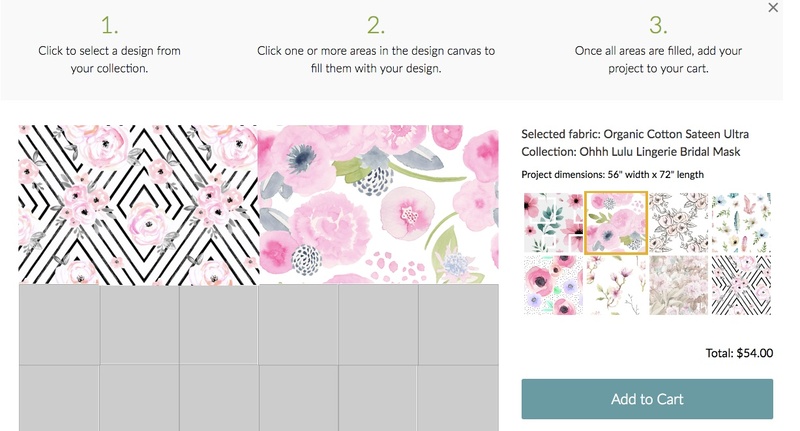 Simply add your own designs or others’ designs to a collection by clicking the folder icon on any design page and follow our step-by-step tutorial. Proofing many designs at one time for a low price. Sampling designs that are either your own or from other designers. Turning your samples into a finished project easily. 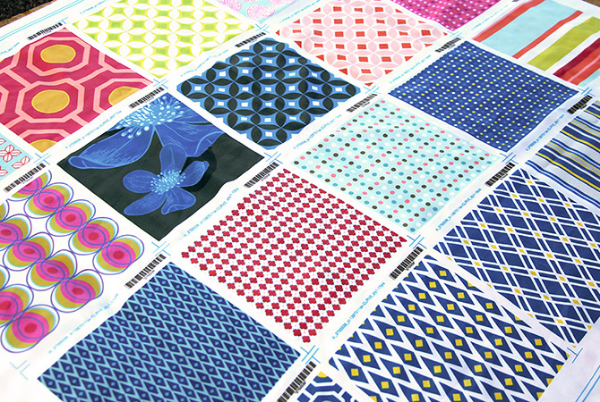 If you want to proof your own designs or see how your favorite designs around the Marketplace will look together, choose our Fill-A-Yard Cheater Quilt Template, which gives you the best bang for your buck. Since these squares are 6 x 6”, you can sample up to 42 designs on our 1-yard cheater quilt for as low as $17.50–that’s just 42¢ per design! If you’d like to make your designs available for sale, you can also use this to proof multiple designs at once. Find or create a collection to begin. 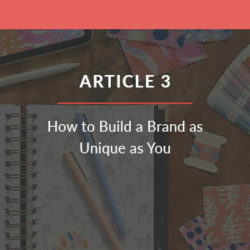 To fill a template with multiple designs, the designs must first be added to the same collection. Create a collection of designs you love or start with one you’ve already curated. Get a head start with collections curated by the community. Choose a basic yard or Fill-A-Project® template. 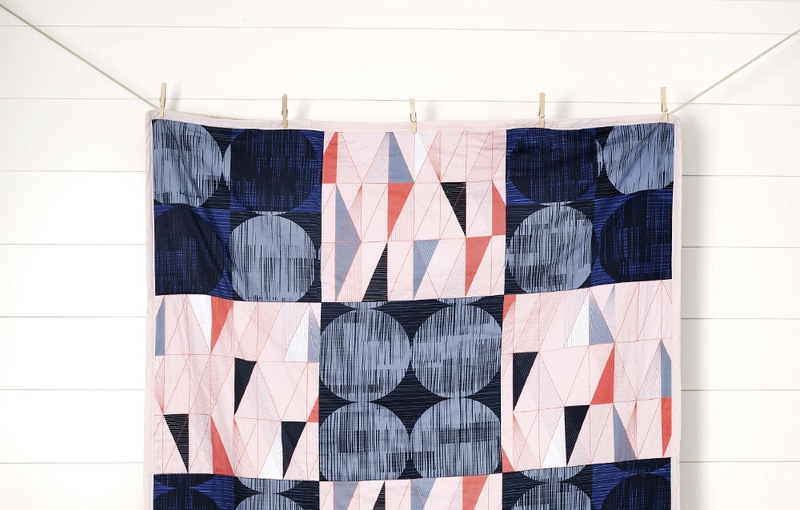 The 1-yard cheater quilt template lets you add up to 42 designs. 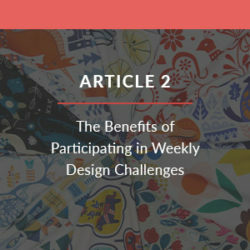 Apply the designs you’ve collected to the template you chose. Arrange them in any way you like with just a few clicks. Hint: You don’t have to fill every square with a different design! Simply apply one design to several contiguous squares to see more of the pattern. Give Fill-A-Yard a try with these DIY projects! Proofing a smaller number of your own designs at one time. Sampling designs on a specific fabric not available in the quilt template above. Getting full-size 8″ swatches for as low as $1.17 each. 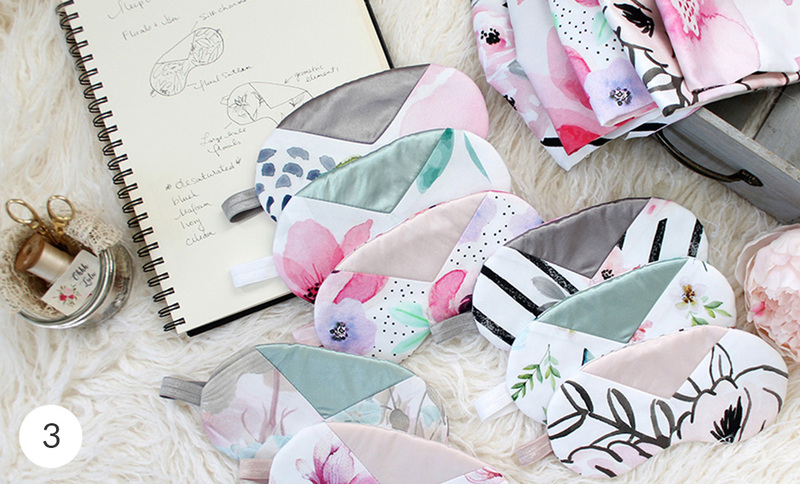 If you’re creating your own designs and want to see how they look for your business or before making them available for sale on Spoonflower, this is a great way to get started in smaller batches. 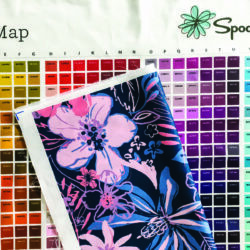 Our Swatch Sampler gives you a chance to see 8 x 8” test swatches of your designs on any one of our 20+ fabrics for as low as $12 for five designs. Navigate to your Collections by clicking on Design Library and selecting collections on the left side of the page. Select the collection you want a sampler of. Click the Get a Sampler button on the upper right corner of the page. Confirm the designs. To see how each design will print, click the design thumbnail and select test swatch in the size and amount drop-down on the design page. 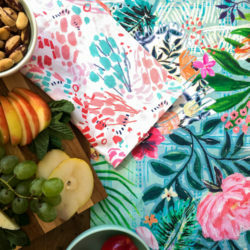 Select the fabric you want your sampler printed on. What are you waiting for? Upload your next batch of designs to start saving! This is fantastic and super helpful! As a designer, this helps not only with saving money but how to plan collections a little more efficiently. Thank you!! !